After reading her poems for the first time, Robert wrote to her: "I love your verses with all my heart, dear Miss Barrett—I do, as I say, love these verses with all my heart." With that first meeting of hearts and minds, a love affair would blossom between the two. 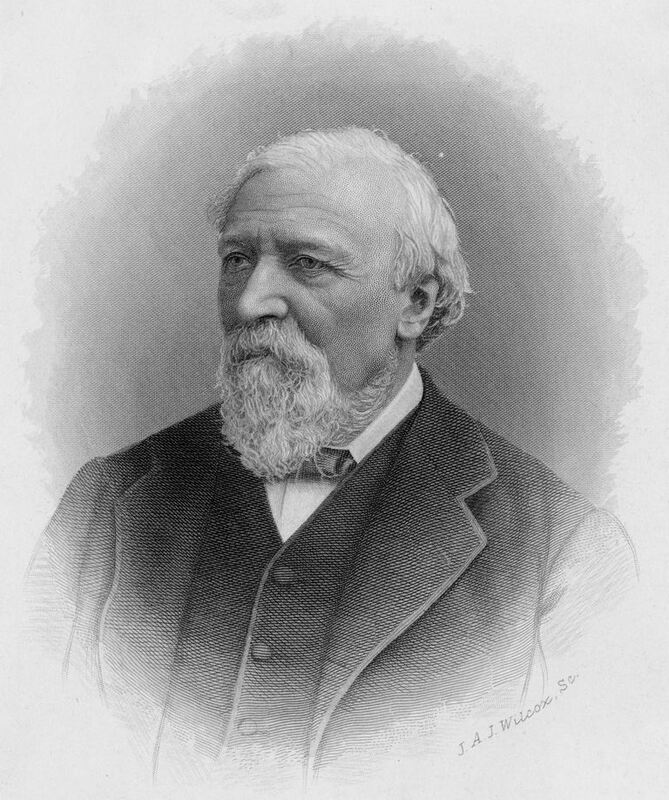 Elizabeth told Mrs. Martin that she was "getting deeper and deeper into correspondence with Robert Browning, poet, and mystic; and we are growing to be the truest of friends." During the 20 months of their courtship, the couple exchanged nearly 600 letters. But what is love without obstacles and hardships? As Frederic Kenyon writes, "Mr. Browning knew that he was asking to be allowed to take charge of an invalid's life—believed indeed that she was even worse than was really the case, and that she was hopelessly incapacitated from ever standing on her feet—-but was sure enough of his love to regard that as no obstacle." Their subsequent marriage was a secret matter, taking place on September 12, 1846, at Marylebone Church. Most of her family members eventually accepted the match, but her father disowned her, would not open her letters, and refused to see her. Elizabeth stood by her husband, and she credited him with saving her life. She wrote to Mrs. Martin: "I admire such qualities as he has—fortitude, integrity. I loved him for his courage in adverse circumstances which were yet felt by him more literally than I could feel them. Always he has had the greatest power over my heart because I am of those weak women who reverence strong men." Out of their courtship and those early days of marriage came an outpouring of poetic expression. Elizabeth finally gave her little packet of sonnets to her husband, who could not keep them to himself. "I dared not," he said, "reserve to myself the finest sonnets written in any language since Shakespeare's." The collection finally appeared in 1850 as "Sonnets from the Portuguese." Kenyon writes, "With the single exception of Rossetti, no modern English poet has written of love with such genius, such beauty, and such sincerity, as the two who gave the most beautiful example of it in their own lives." The Brownings lived in Italy for the next 15 years of their lives, until Elizabeth died in Robert's arms on June 29, 1861. It was while they were living there in Italy that they both wrote some of their most memorable poems. The romance between Robert Browning and Elizabeth Barrett is legendary. Here's the first letter that Robert Browning sent to Elizabeth, who would eventually become his wife. I love your verses with all my heart, dear Miss Barrett,--and this is no off-hand complimentary letter that I shall write,--whatever else, no prompt matter-of-course recognition of your genius and there a graceful and natural end of the thing: since the day last week when I first read your poems, I quite laugh to remember how I have been turning again in my mind what I should be able to tell you of their effect upon me--for in the first flush of delight I thought I would this once get out of my habit of purely passive enjoyment, when I do really enjoy, and thoroughly justify my admiration--perhaps even, as a loyal fellow-craftsman should, try and find fault and do you some little good to be proud of herafter!--but nothing comes of it all--so into me has it gone, and part of me has it become, this great living poetry of yours, not a flower of which but took root and grew... oh, how different that is from lying to be dried and pressed flat and prized highly and put in a book with a proper account at bottom, and shut up and put away... and the book called a 'Flora', besides! After all, I need not give up the thought of doing that, too, in time; because even now, talking with whoever is worthy, I can give reason for my faith in one and another excellence, the fresh strange music, the affluent language, the exquisite pathos and true new brave thought--but in this addressing myself to you, your own self, and for the first time, my feeling rises altogether. I do, as I say, love these Books with all my heart-- and I love you too: do you know I was once seeing you? Mr. Kenyon said to me one morning "would you like to see Miss Barrett?" --then he went to announce me,--then he returned... you were too unwell -- and now it is years ago--and I feel as at some untoward passage in my travels--as if I had been close, so close, to some world's wonder in chapel on crypt,... only a screen to push and I might have entered -- but there was some slight... so it now seems... slight and just-sufficient bar to admission and the half-opened door shut, and I went home my thousands of miles, and the sight was never to be!